Production Automation (PA) options that are designed to enhance productivity in the highest volume production situations. 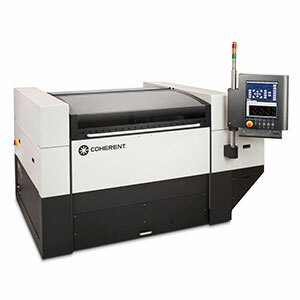 Coherent’s Production Automation options are designed to enhance the highest volume production situations. 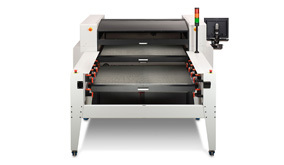 Automatic Vision System is designed to coordinate the laser cutting tool with the work piece. Our Automatic Vision System option automatically aligns its coordinates to existing features (holes, marking, structure, engravings, edges, etc.) on the part. 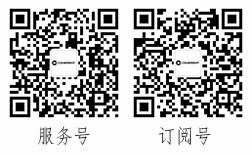 The ability to recognize and align itself to virtually any mark(s) on the part makes our laser cutters a high precision addition to your production environment. Automatic Dual Pallet Shuttle option offers the operator the ability to automatically load/unload the dual 4 ’ x 4 ’ cutting sections while the machine is operating/cutting. 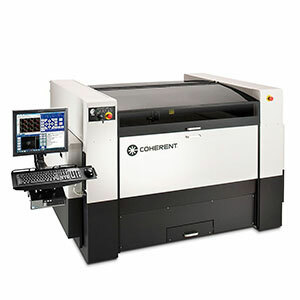 This option provides a 100% throughput improvement over machines that require down time for load servicing. Manual Dual Pallet Shuttle option allows for the manual unloading and loading of parts, all while parts are being laser cut or engraved. This option greatly increases throughput productivity. 4’ x 8’ Pallet option allows precise cuts over a large area, up to 4 ’ by 8 ‘. The 4’ x 8’ pallet is calibrated and aligned to match perfectly between cutting sections, ramping power at the meeting point to maintain constant energy delivery and a blemish free meeting point.